The Iraq War that began in 2003 with the invasion of Iraq by a United States-led coalition that toppled the government of Saddam Hussein cost the lives of an estimated 600,000 Iraqis, and just under 5,000 American personnel; with a total financial cost to the US economy estimated at between $3 trillion and $6 trillion. The most profound results of the war were the elimination of the one serious Sunni bulwark against the Shiite Iranian expansion effort in the Middle East, resulting in the rise of a largely pro-Iranian, Shiite government in Iraq. The Sunni remnants of Saddam Hussein’s government and military eventually emerged as the ISIS “caliphate,” spreading fear and dread in Iraq and Syria, with the occasional terrorist eruption in Europe. In an article published a week ago in CAPX, Dr. Henry Kissinger points out that by destroying ISIS, an endeavor that appears to unite East and West these days, the US would contribute to the further expansion of Iran: “If the ISIS territory is occupied by Iran’s Revolutionary Guards or Shia forces trained and directed by it, the result could be a territorial belt reaching from Tehran to Beirut, which could mark the emergence of an Iranian radical empire,” he writes. Not surprisingly, in every one of these battleground you’ll discover the long arm of Tehran, the only true beneficiary of US foreign policy next to Israel. And so, barring a full-fledged military effort against Iran, which would eliminate its nuclear potential and bring down its repressive clerical regime, the West should avoid doing to ISIS what it did to Saddam Hussein, who had today’s ISIS commanders on his payroll. Kissinger points out the complex role of the newly-Islamist and Sunni Turkey in the Middle Eastern calculus, seeing as Turkey is more troubled by the bolstering of the separatist Kurdish state in northern Iraq—natural enemies of ISIS but also potential allies of the large Kurdish minority in Turkey—than it is by the threats posed by ISIS. In this context, the relatively warm relationship between the Trump administration and Ankara could be worrisome. 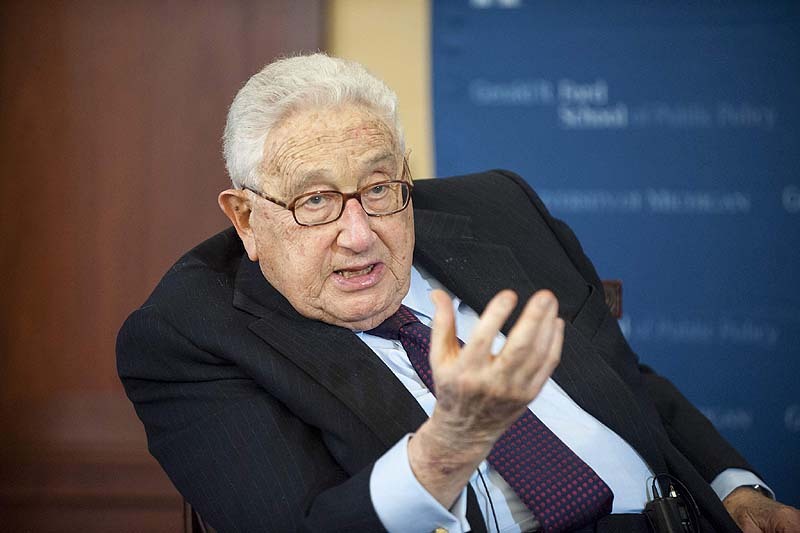 Clearly, at 94 Dr. Kissinger’s understanding of world politics (he covers other areas of the globe in his piece) exceeds the wisdom of our three most recent presidents with many IQ points to spare.